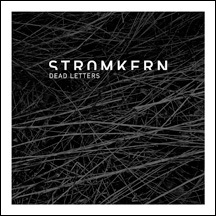 Dead Letters is the first new release from Stromkern in nearly 7 years. Featuring 5 new tracks, Dead Letters includes the epic Sub-Librarian which was featured on the Dependence 2011 in Europe and the long awaited release of Ruin(ed), which has become a staple in the Stromkern live show. Picking up where they left off on Light it Up, Stromkern continues to blend Hip-hop vocals with layers of programming and elements of industrial rock. Dead Letters will not disappoint and only sets the stage for what is to come later this year with the release of Dead Language.